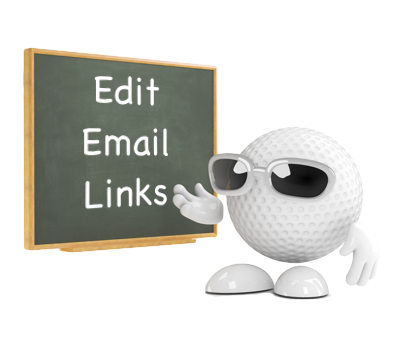 From the 'Edit Application Pages' screen, select the page that contains the 'email link' you wish to edit and click 'Edit' as shown above. In the 'Target EMAIL address' field, enter the target email address that you wish the email to be sent to. In the 'Confirmation message' field, enter the preferred text. This text will be appear on the sender's handset once the email has been succesfully sent. Important: Before editing the bottom four fields, click 'Set defaults' (below the 'Page id' field). The lower fields will update automatically. 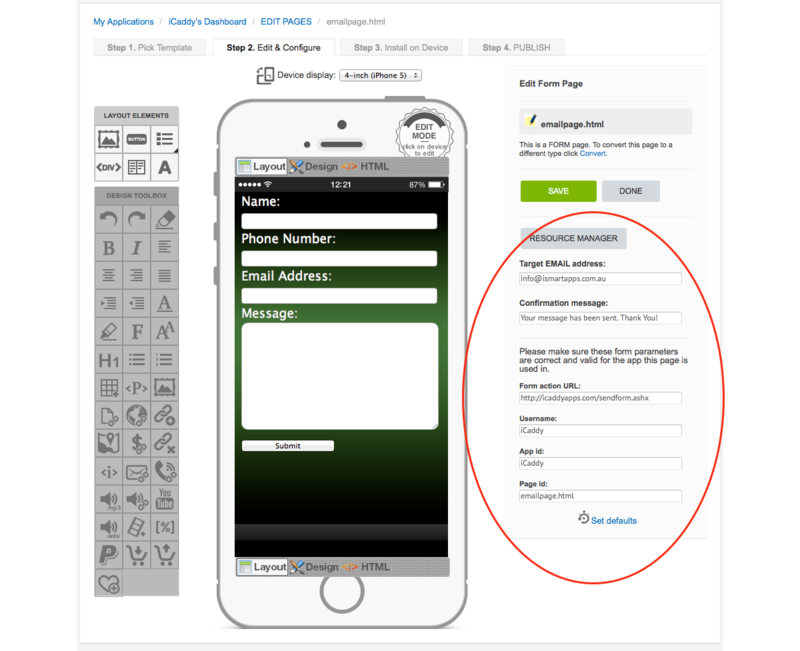 Change the 'Username' field to the name of your golf club (e.g. Sunshine Golf Club). 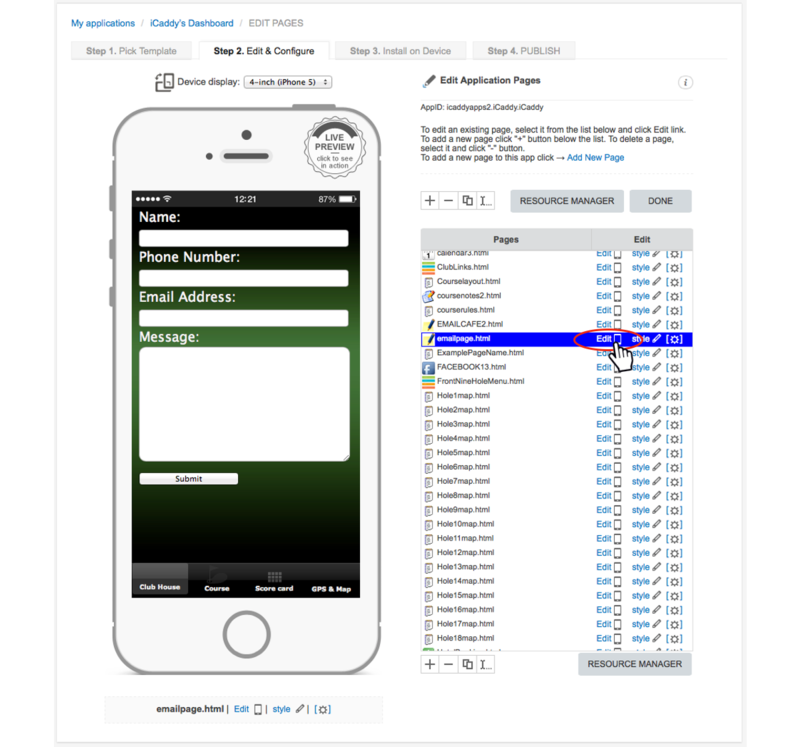 You can now check the functionality of the email link by using the iCaddy Apps Previewer on your target device (e.g. iPhone or Android). Refer to How to Download the iCaddy Apps Previewer and How to View Your App on the iCaddy Apps Previewer, for further information on how to use the Previewer.